Gangs of youth attacked two cop cars over the weekend during disorder that erupted over two nights in the town of Shrewsbury. The head cops are trying to calm the situation by claiming a ‘Wild West situation’ will not develop in the Harlescott area. The attacks on the cops began on Saturday night when gangs started throwing rocks at the feds on patrol outside the local youth centre. 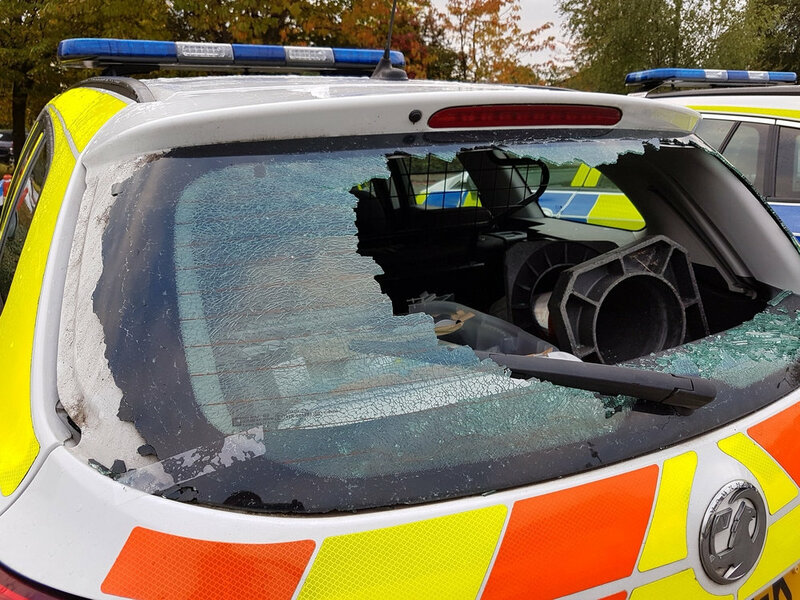 The cop cars were damaged on Sunday when cops parked them to go on foot patrol in the area, one with a rear window smashed. All Cops Are Targets! A.C.A.T.! This entry was posted in Cop attack and tagged All Cops Are Targets! (ACAT), cop attack, cop car attack, disorder, rock throwing, Shrewsbury. Bookmark the permalink.